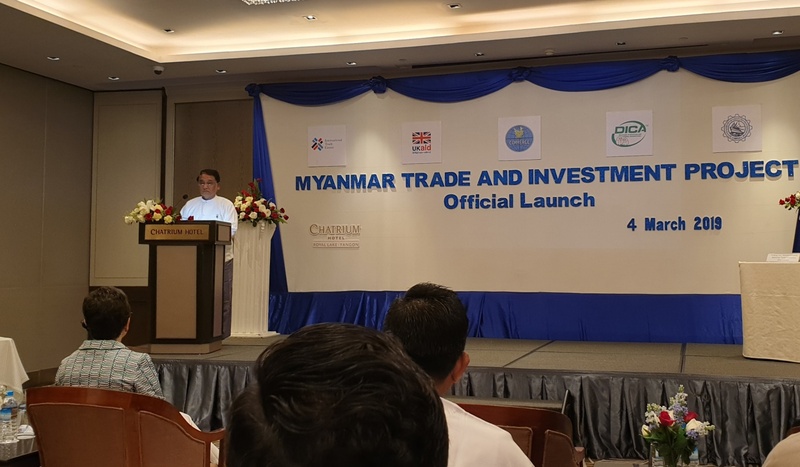 Union Minister for Commerce U Than Myint launches Myanmar Trade and Investment Project on 4th March 2019, to improve trade competitiveness and business and investment climate. Launching event was held at the Chatrium Hotel in Yangon. 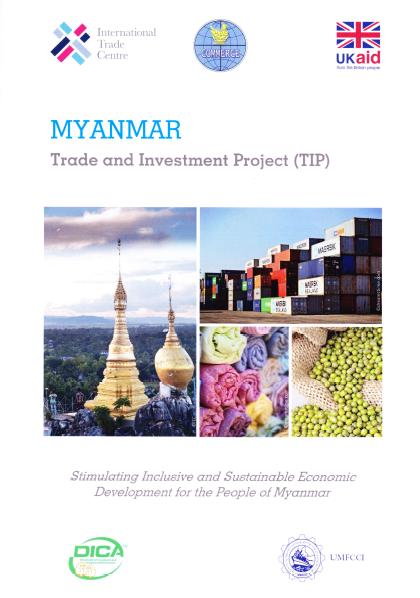 The Government of Myanmar and the International Trade Centre (ITC) unveiled the Trade and Investment Project, which will support joint efforts by public and private-sector partners to strengthen Myanmar’s role in the Asian economic ecosystem. The project will provide support for modernizing key processes and will make the business environment more favourable to emerging and established enterprises. It is funded by the United Kingdom’s Department for International Development (DFID). One of the key outcomes of the project will be the design of an updated National Export Strategy for the period 2020-2025 through consultations with all relevant stakeholders. U Aung Naing Oo, Director General of the Directorate of Investment and Company Administration (DICA), welcomed that the Trade and Investment Project will look beyond Yangon, Myanmar’s economic capital. 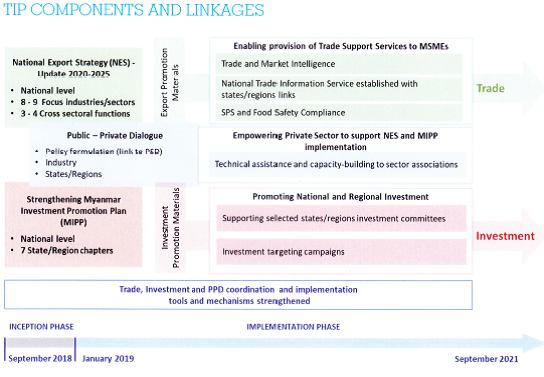 NES was launched in 2015 with 7 core sectors (Rice, Fish, Bean, Wood, Garment, Rubber and Tourism) and 4 cross sectors such as trade information, logistic, financing and quality control. Five new sectors will be covered at NES such as fruits and vegetables, gem, food processing, handicraft and digital industry.